Call 1800 944 570* or contact us. 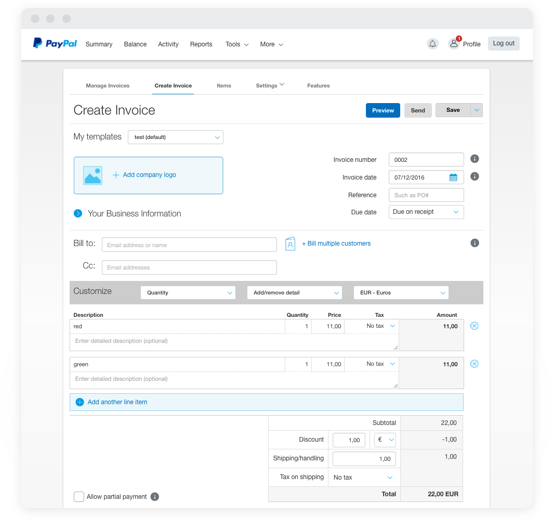 PayPal is accepted in over 200 markets and regions and our invoice templates are available in over 15 languages, giving you the choice to sell around the world. 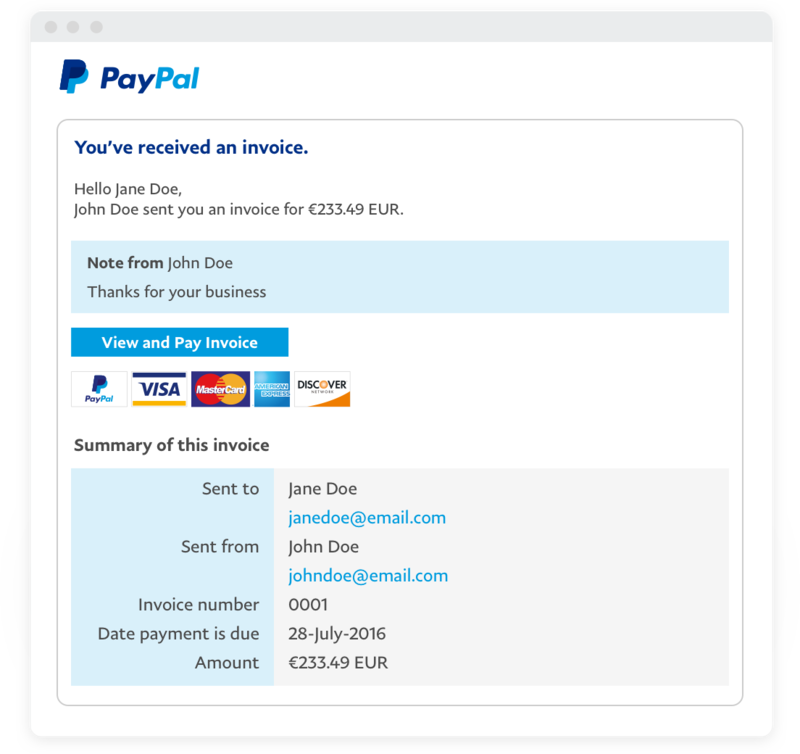 4 reasons to send invoices with PayPal. 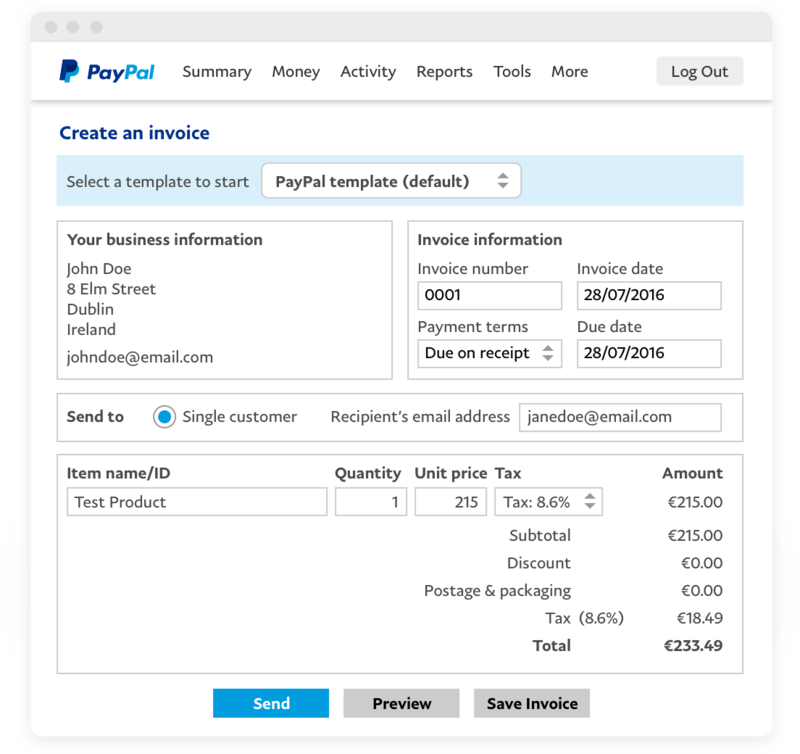 They’re then sent to the PayPal website where they can review and print out the invoice details. *Freephone from an Irish landline. 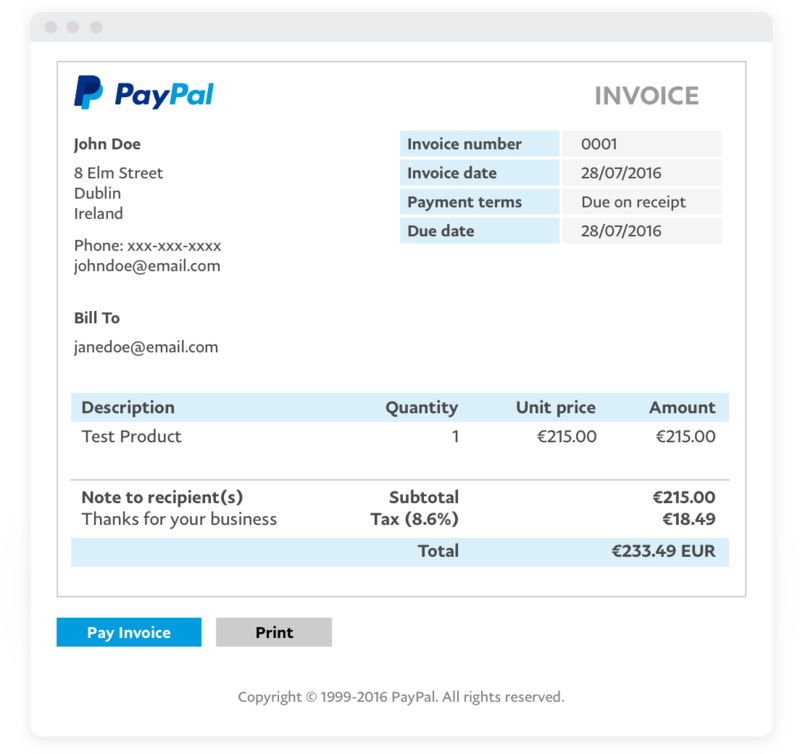 However, costs from mobile may apply and are dependent on the terms of agreement with your network operator. If you are calling from outside Ireland, use the following phone number: 00353 1 436 9004 (international call charges may apply).